Repo 105 is an accounting gimmickTop Accounting ScandalsThe last two decades saw some of the worst accounting scandals in history. Billions of dollars were lost as a result of these financial disasters. In this article, we look at the 10 biggest accounting scandals in recent times. Many of these scandals were a result of the excessive greed of the that was used within Lehman Brothers to classify short-term loans as a sale. It is a form of repurchase agreement that allows companies to borrow the excess funds of other companies for a short duration in exchange for collateralTangible AssetsTangible assets are assets with a physical form and that hold value. Examples include property, plant, and equipment. Tangible assets are seen or felt and can be destroyed by fire, natural disaster, or an accident. Intangible assets, on the other hand, lack a physical form and consist of things such as intellectual propertyr. The borrower promises to pay back the short-term loan plus interest, and the collateral does not change hands. The collateral, usually a bondPublic SecuritiesPublic securities, or marketable securities, are investments that are openly or easily traded in a market. These securities are either equity or debt-based. An equity security is an investment based on the equity of a company. A debt security is an investment based on the debt of a company or entity, is assumed to have been sold off and then bought back. The sales proceeds are used to pay down debts, enabling the company to temporarily reduce liabilities for the purpose of financial reporting. After the balance sheet is published, then the company borrows cash and immediately repurchases the assets. The term Repo 105 became popular following the collapse of Lehman Brothers, an investment bank located in the United States. Lehman accountants employed the accounting gimmick to pay down $50 billion in liabilities, with the aim of reducing the liabilities in the balance sheet before the publishing of the company’s financial statementsThree Financial StatementsThe three financial statements are the income statement, the balance sheet, and the statement of cash flows. These three core statements are intricately linked to each other and this guide will explain how they all fit together. By following the steps below you'll be able to connect the three statements on your own.. The manipulation of the balance sheet was neither made public to the company’s shareholders nor included in the financial report’s footnotes. The bank used the technique to make it look like it was less reliant on loans than it actually was. When Lehman Brothers designed Repo 105 in 2001, it could not get a true sale opinion from a U.S. lawyer, since such a practice is not allowed in the United States. As an alternative, the bank sought the opinion of Linklaters, a London-based law firm. The firm gave its legal brief based on English Law as opposed to American Law. Linklaters stated that “if two parties exchange assets for cash and the party receiving assets decides to return equivalent assets rather than the very assets originally delivered, the transaction amounts to a sale.” Relying on this opinion, Lehman did all its Repo 105 and Repo 108 transactions in the United Kingdom, through Lehman Brothers International (Europe). According to a report by the court-appointed examiner, Anton R. Valukas, Lehman used Repo 105 three times in its financial statements. The examiner disclosed that Lehman used Repo 105 and Repo 108 to temporarily remove securities inventory from its financial statements for a period of seven to ten days. The manipulation would then portray a misleading picture of the bank’s financial position to its investors, board of directors, and the rating agencies. Repo 105 transactions used by Lehman were almost similar to ordinary repo transactions that banks use to borrow short-term loans – except that Lehman reported the transaction as a sale rather than as a financing transaction. Recording Repo 105 as a sale rather than as a financing transaction allowed the bank to remove the transaction from the balance sheet. Lehman increased the use of Repo 105 by two to three times before the end of an accounting period in order to conceal financial distress. It would transfer the ownership of high-grade securities at either 105% or 108% of the amount received (hence the names Repo 105 and Repo 108). Lehman would then use the proceeds from the sale of securities to reduce its liabilities and improve its leverage ratios. Just after the start of a new quarter, the bank would borrow funds to repay the previous cash borrowing plus interest, repurchase the securities, and restore these assets to its balance sheet. For example, in the last quarter of 2007, Lehman used $38 billion, and the reported net leverage was 16.1 while the actual leverage without repo 105 was 17.8. Similarly, in the first quarter of 2008, the bank used $49.1 billion and reported the net leverage as 15.4 while the firm’s actual leverage ratio was 17.3. The former directors of Lehman Brothers defended their use of Repo 105 with the argument that other financial institutions practiced some form of window dressing to adjust their financial reports. They claimed that the $50 billion excluded from their balance sheet was too insignificant compared to the amount of money lost during the global financial crisis. The bank used Repo to lower its net leverage ratio and mislead rating agencies so that the agencies would not give the company a poor rating that would portray a negative image to its stakeholders. Between March and September 2008, the big three rating agencies took turns downgrading Lehman’s credit outlook and rating. Antony Valukas, chairman of Jenner and Block law firm, was appointed by a New York bankruptcy court to examine the causes of the Lehman bankruptcy. The examiner found that there was sufficient evidence to hold Lehman’s executives culpable of gross misconduct. The officers exposed Lehman to potential liability by intentionally excluding specific transactions that were material to the bank’s operations. The examiner claimed that the management did not foresee the mortgage crisis. Instead, the bank ignored the financial distress and expected to earn high revenues when the markets came recovered. The bank’s executives ventured into excessive risk-taking and high leverage. At the time of insolvency, Lehman held $700 billion in assets and only $25 billion in equity. The bank held assets that had a maturity of over a year while its liabilities were mostly short-term, maturing in less than one year. That imbalance forced Lehman to borrow billions of dollars through the Repo market to pay its short-term debt obligations. Excessive short-term borrowing made lenders lose confidence in the bank’s ability to pay back loans. The bank turned to financial statement manipulation to hide its financial distress from the rating agencies and investors. In the opinion of the examiner, there was sufficient evidence to support legal action and recovery of losses from the bank’s executives. The examiner’s report also found the bank’s auditors, Ernst & Young, professionally negligent for failing to challenge the accuracy of the published financial statements. Furthermore, the firm failed to investigate allegations made by the then Lehman Senior Vice President, Matthew Lee, on the improper use of Repo 105. The Wall Street Journal also pointed to a possible conflict of interest when Ernst & Young received an increased level of fees from Lehman from 2001 to 2008. 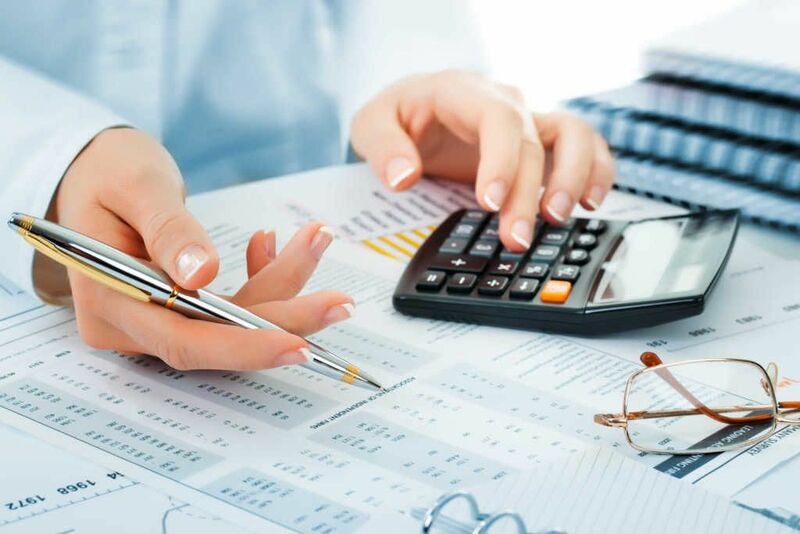 Accounting EthicsAccounting EthicsAccounting ethics is an important topic because, as accountants, we are the key personnel who access the financial information of individuals and entities. Such power also involves the potential and possibilities for abuse of information, or manipulation of numbers to enhance company perceptions or enforce earnings management.